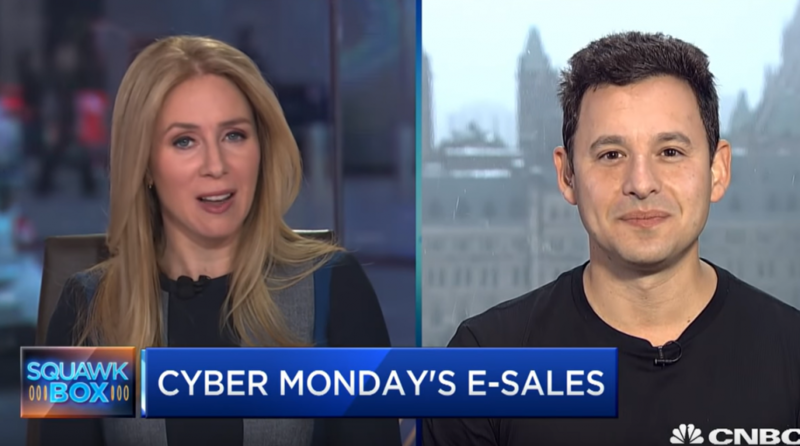 If Black Friday wasn’t enough to prop up retail exchange-traded funds (ETFs), they got an additional boost from Cyber Monday sales reaching a record $7.9 billion, according to data from Adobe Analytics, which represented a 19.3% increase from a year ago. ETFs like the Amplify Online Retail ETF (NasdaqGM: IBUY), SPDR S&P Retail ETF (NYSEArca: XRT) and ProShares Online Retail ETF (NYSEArca: ONLN) reacted to the latest data. As of 11:00 a.m. ET, IBUY slightly gained 0.12%, XRT was slightly down at 0.11% and ONLN rose 0.36%. The data comes as Black Friday’s online sales reached a record total of $6.22 billion based on data from Adobe Analytics. The sales increase for both days speaks to the obvious shift of consumer spending habits from brick-and-mortar retail to the convenience of online shopping. Many companies were also quick to start their sales promotions as early as the day after Halloween. “With holiday offerings and promotions starting just after Halloween, Black Friday didn’t have the same sense of urgency as in the past,” Telsey Advisory Group analyst Dana Telsey said. This constant year-over-year migration from brick-and-mortar to online was evident as visits to physical retail stores was down for a fifth straight year, according to a Wall Street Journal report. However, the drop in 2018 wasn’t a steep drop-off from 2017 as consumers still use physical stores to purchase items they know are in stock or want to view an item prior to purchasing it online for a better price.